The BBC documentary Fashion’s Dirty Secrets caused outrage revealing that in the United Kingdom alone, 300,000 tons of clothes are dumped in landfills every year. Overall, the clothing industry is the largest polluter in the world after the oil industry. Some brands even go to the extent of burning millions of unsold clothes, accessories and perfume instead of repurposing them. At a time when our waste and our environmental impact is under scrutiny, isn’t it time for clothing brands to play their part and be held accountable? 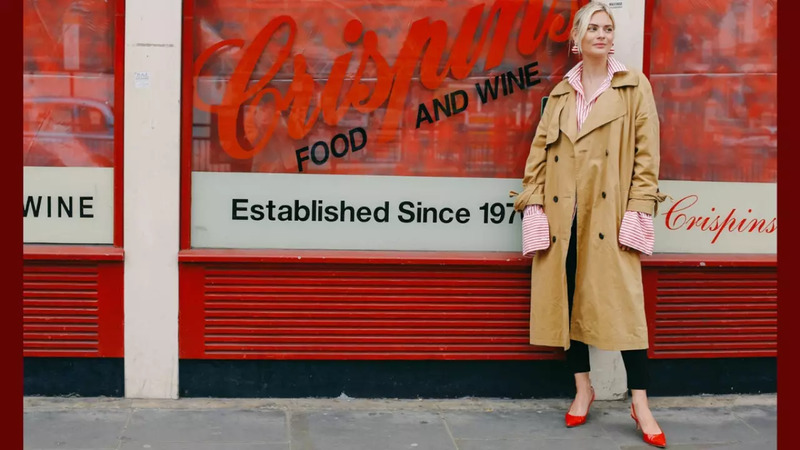 Contributing Editor at ELLE UK and co-host of The High Low podcast, Pandora Sykes, is a prominent figure of the fashion industry who regularly writes about the importance of sustainable and mindful shopping. How to achieve conscious fashion consumption? When it comes to clothing consumption, Sykes has found vintage shopping to be the answer. “Sustainability is about extending the life of something: reselling, swapping or buying second-hand,” she explains. Following the Guardian’s fashion editor, Jess Cartney-Morley, pledge to switch her focus and cover more sustainable fashion topis, Sykes raises the question of fashion journalists and editors’ responsibility in shifting the conversation surrounding the environmental impact of consumers. “It’s hard for editors and fashion magazines because their role is to curate the shops,to show people what they can buy”, she says. “What are they meant to do when they are told to discourage shopping? How does that change their role? I think it’s just about a cultural re-think.” That’s what vintage could do. As a matter of fact, Cartner-Morley’s decision involved incorporating vintage finds in her existing wardrobe. During her time at the The Sunday Times, Sykes recalls this idea that if readers could not buy something, the magazine would not shoot it. However, when she left the newspaper, she decided she wanted to make vintage clothing, not only a part of her wardrobe, but an integral part of her fashion journalism. So how does Sykes makes her audience feel included when featuring a vintage piece that people won’t be able to just go and buy? “Its true that if you wear something new - as a single publisher on Instagram; or in a newspaper column - people can easily buy into your look. Job done,” she says. However, she thinks it’s okay not to offer that instant purchase point and to encourage people to think. “I wear a lot of vintage because I think it’s my duty to shop second hand,” she adds. Sykes’ intention is to take things out of the retail cycle as much as she puts in, and to inspire personal style interpretations of these vintage pieces. “When you see a vintage piece you love, you can’t go and instantly buy it. So you have to think, search, daydream it.” She re-introduces the idea of delayed gratification by encouraging people to hunt for their unique version of what she wears. This is when shopping becomes a meaningful activity, and not just an impulsive exercise. No one expects you to have a fully sustainable and ethical wardrobe overnight. It is worth mentioning that when it comes to fashion, sustainability isn’t only defined by what and where we shop but also by how much. Sykes agrees that as sustainable and ethical we may shop, overshopping is problematic. “We’re obsessed with accumulation - see the success of YouTube ‘haulers’ and ‘un-boxers’ - and purging - see the wild success of Marie Kondo and her KonMaries’ - but we need to find a middle ground,” she adds. Srsly cheap date these days ? Saying that the fashion industry still has a lot of work to do is an understatement, but so do the consumers. Sykes gives us three basic rules of how can we all become more conscious shoppers. Rule number one: try not to think in trend terms. Rule number two: Try and look at your wardrobe and think what compliments it rather than replaces it. Rule number three: when you see something new you love, try and find the vintage version first. “I don’t always succeed, and I’m not immune to the zing of having something new (at all) but it’s a good practice to have,” Sykes says. She recommends to try shopping at vintage outlets such as eBay, Etsy, The Real Real, Beyond Retro and ASOS Marketplace. “There are so many brilliant vintage outlets, and they are all online so you can shop them wherever you are,” she concludes.